If these words by Henry Beston, which were written in a year at his house in the middle of nowhere, overlooking Cape Cod, for about a century, nothing has changed: today like yesterday, you can feel the link to nature the minute you arrive on the Cape. This wild peninsula in the shape of an arm always astounds and fascinates the voyager. This almost-island that sticks out 80 miles into the Atlantic ocean, its width varying from 1 mile to 25 miles. 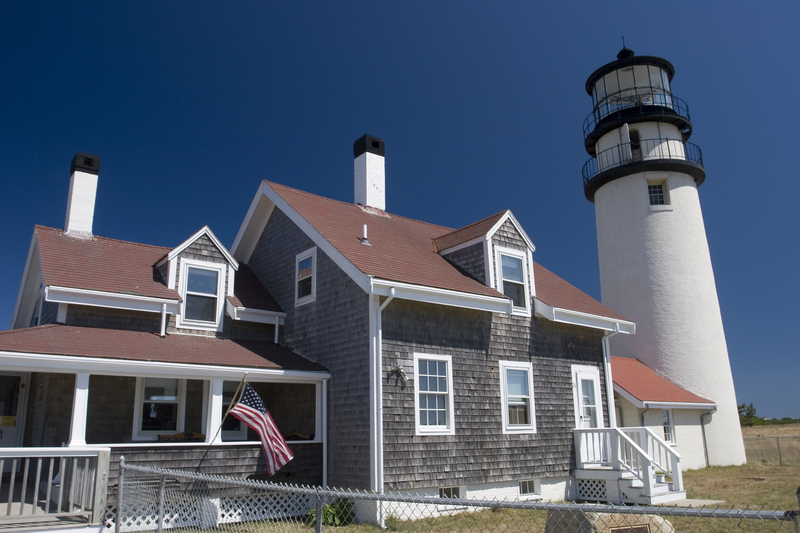 Cape Cod is surrounded by the Cape Cod bay in the north, in the west by Buzzards Bay, and in the south by Vineyard sound and Nantucket sound. At the north of this elbow in the east is this long spit of land known as the Outer Cape, surrounded by the Atlantic Ocean. Protected by the late president Kennedy (where his family summer residence can be found in Hyannis, also on Cape Cod), by his creation of the Cape Cod National Sea Shore; the preservation of Cape Cod and its coastline is an example of the drive to preserve the quality of this beautiful but fragile land. 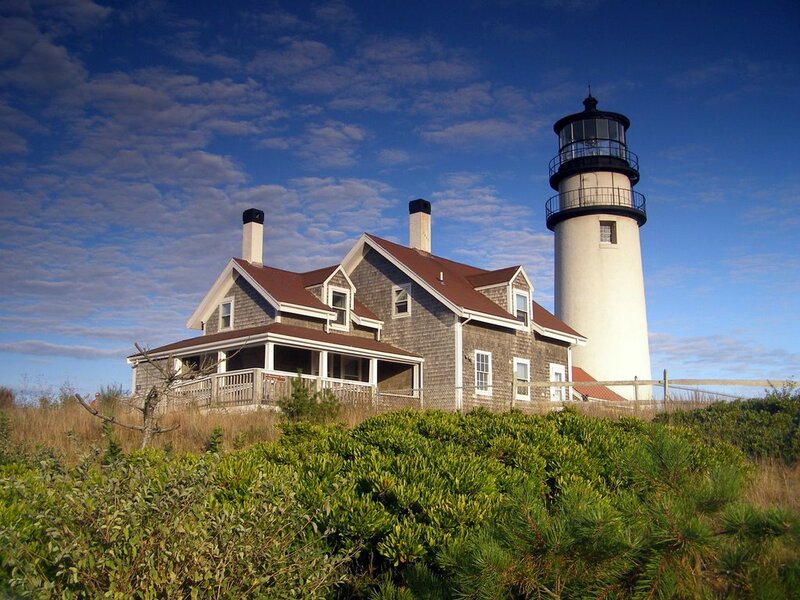 Affectionately nicknamed “The Cape”, the almost-island of Cape Cod features some of the most beautiful summer vacation destinations of New England. 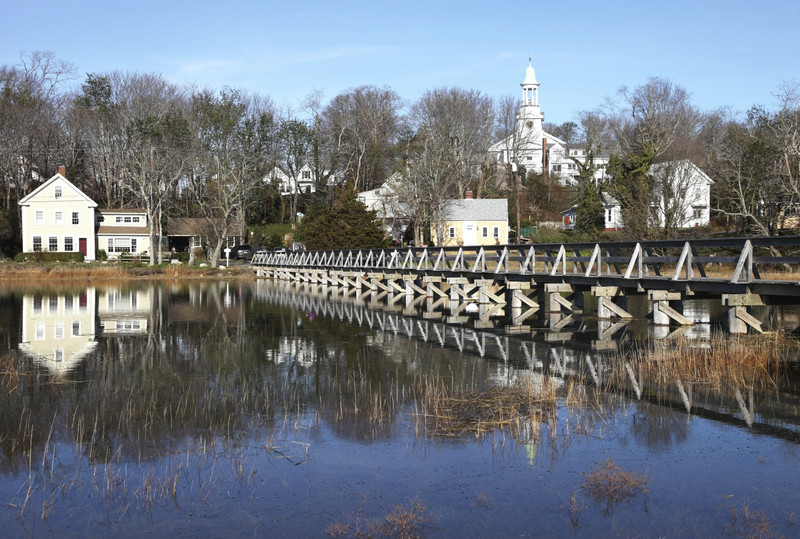 Cape Cod evokes a quasi-mythical space with its history of the Kennedy clan, the artistic bohemian life of Provincetown, the bourgeois charm of Chatham, and the demure historical buildings that border the villages along the Old King’s Highway (route 6A). 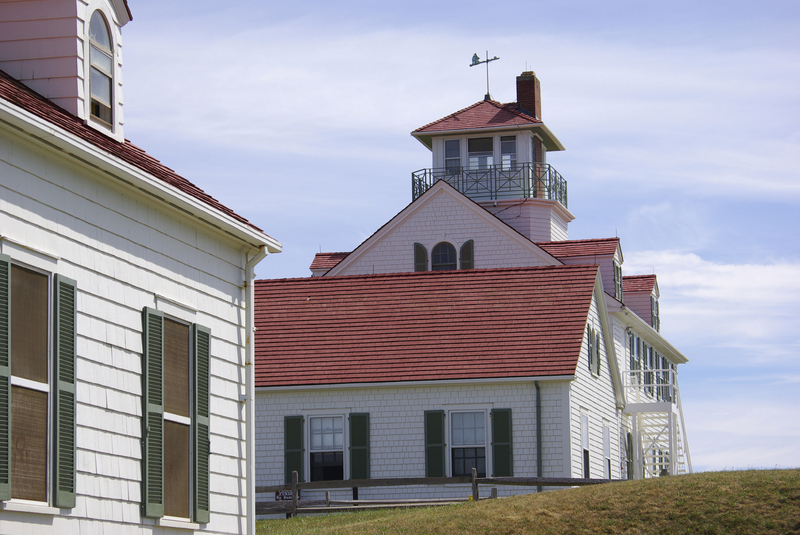 The Outer Cape is the northern part of the Cape consisting of towns Eastham, Wellfleet, Truro, and Provincetown. Stratified by long bands of white sand and dunes, punctuated by picturesque villages that chain together and are peppered with spaces of natural grandiosity, at an almost wild state. It’s the best area to disconnect from everything while staying connected to what vacations can offer the best of the best: a choice. 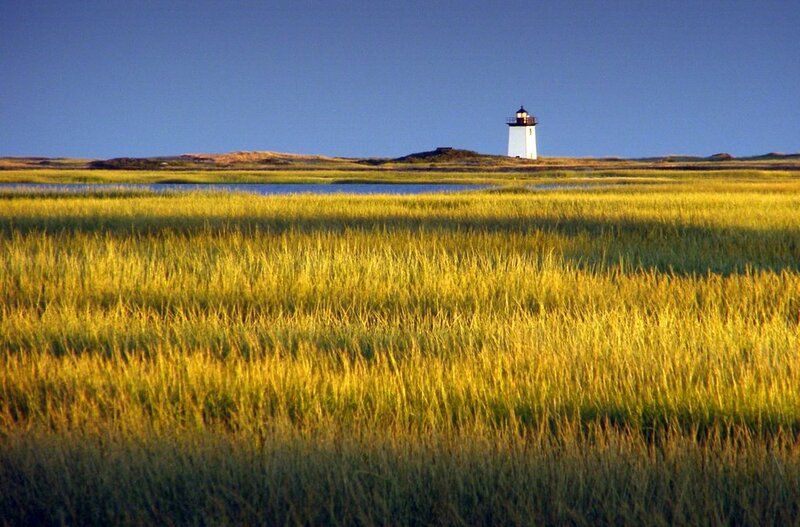 The Cape Cod National Seashore, with its beaches, legendary landscape and waves covering the east part of the narrow Outer Cape, whereas Provincetown, symbolizes liberty and tolerance, vibrating the Northern point of Cape Cod. Wellfleet Chamber of Commerce: route 6, near the post office, South Wellfleet. 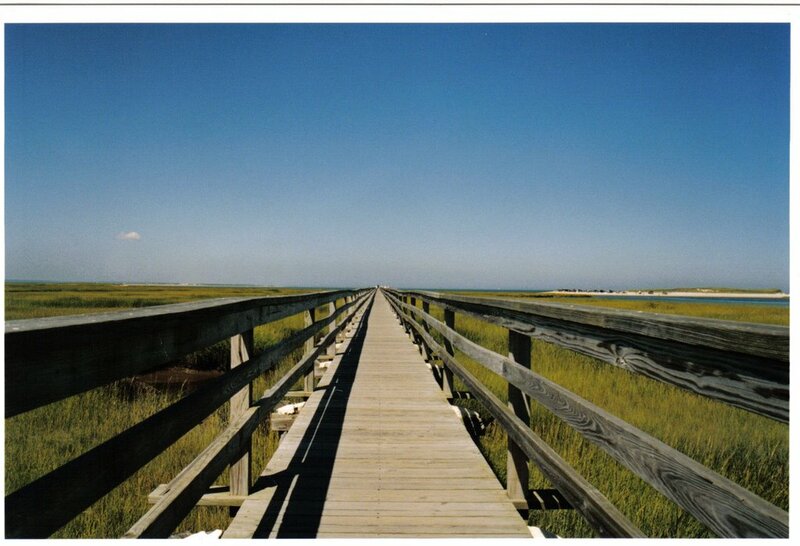 Lovers of birds will discover Massachussetts Audubon Society Wellfleet Bay Wildlife Sanctuary, a flora and fauna reserve that traverses the beaten paths to observe the number of areas abound with birds. A little farther off the road, you will discover beyond a magnificent beach called Marconi Beach/Marconi Station site; it was here that the Italian inventor Guglielmo Marconi (1874 to 1937) directed his most expensive dream, the first communication that was transatlantic without cable between the U.S and England: a message from the US President to the king of England was transmitted here the 18th of January in 1903. One could say that at Truro the sea is everywhere, it’s the area where the distance between the Atlantic and Cape Cod Bay is the shortest. In Truro, it’s tranquil: a place favorable for introspection, and inspiration to witness the dynamic art at the Center of Art at Castle Hill where they offer a number of summer courses. “A man can stay here and put all of America behind him, un monde peut se tenir debout ici, et mettre toute l’Amérique derrière lui” wrote Henri David Thoreau in relation to an enchanting site where he wrote his magnificent Highland Lighthouse, the oldest lighthouse of the Cape, constructed in 1797, and was moved 100 meters/300 feet in 1996 because of cliff erosion, the view at the top of the lighthouse is equally/easily the highest on Cape Cod, and is a grandiose view. Finally, wine lovers will discover the excellent wines offered at the Truro Vineyards of Cape Cod.